Halloween is our favorite time of year! We love carving pumpkins and creating fun, edible art or Bento lunches with a Halloween, holiday theme. 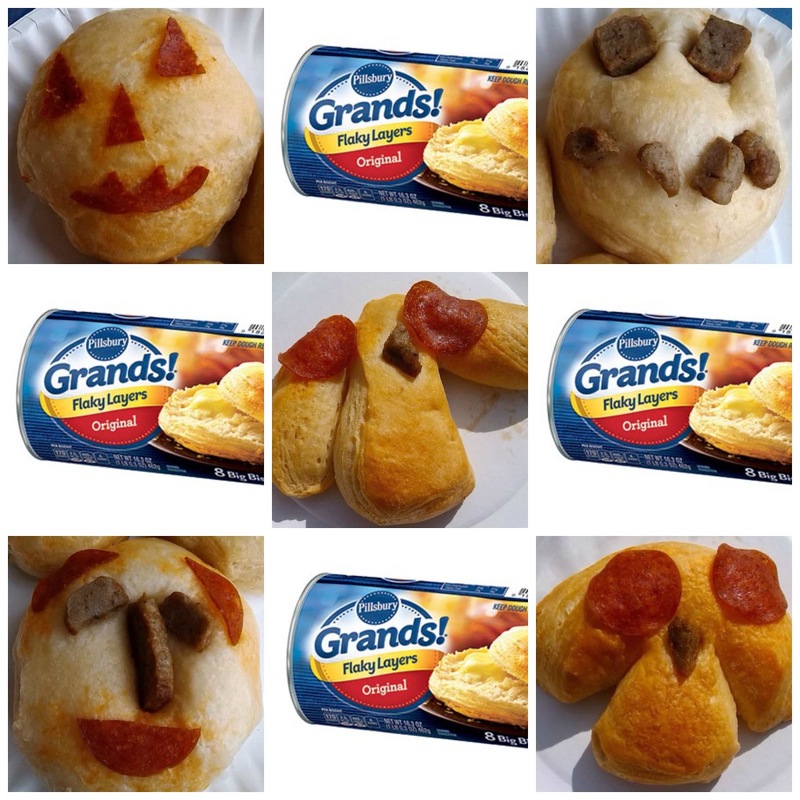 So, when Pillsbury Grands!® asked us to come up with a Halloween recipe, we were happy to oblige. Enjoy! Hooty owl biscuits for Halloween. The Hooty Owls are our favorite Halloween biscuits. Before baking, we made a slice in each side of the biscuit and pulled them out to look like wings. Then, we cut a sausage triangle for a nose. 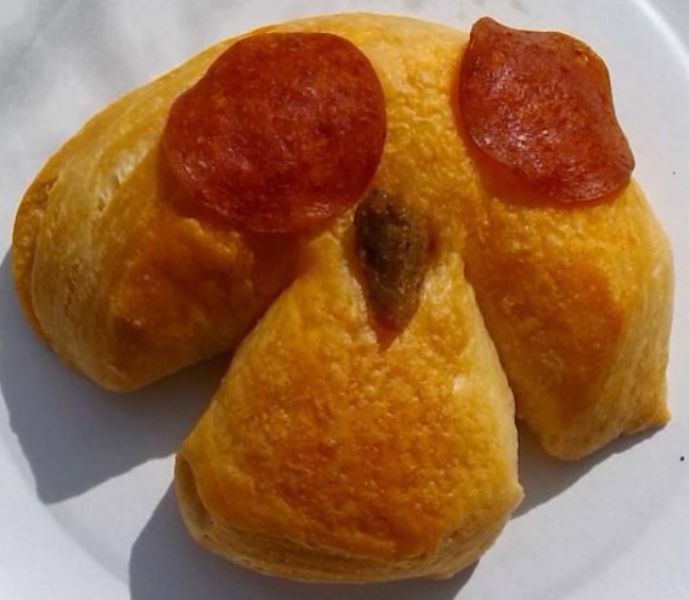 Snack pepperoni makes perfect owl eyes. Bake according to package directions. Grands!® Halloween Recipe Easy Edible Art Bento. This easy Grands!® Bisuit Halloween recipe is fun for toddlers or preschoolers to make, and it makes a great after school snack for elementary age students. They can choose their favorite Halloween character. We made Jack-o-lanterns, Jack the Pumpkin King, creepy monsters, and little hooty owls! 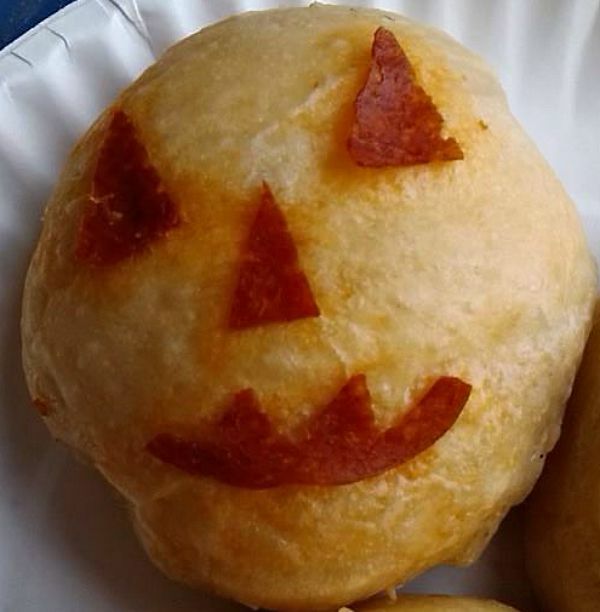 Creepy monster Halloween biscuit with pepperoni and sausage. For this creepy monster, we sliced the pepperonis in half. Then, we sliced the sausage lengthwise cutting out pieces for a long nose and two eyes. 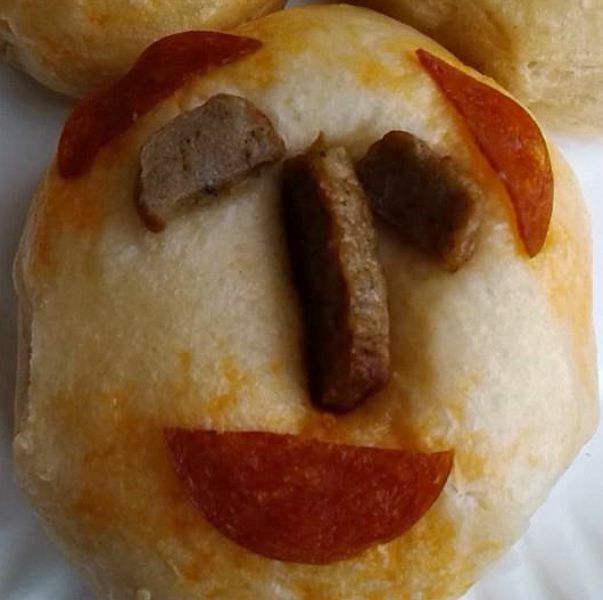 Just push into the raw dough. They will bake in place. 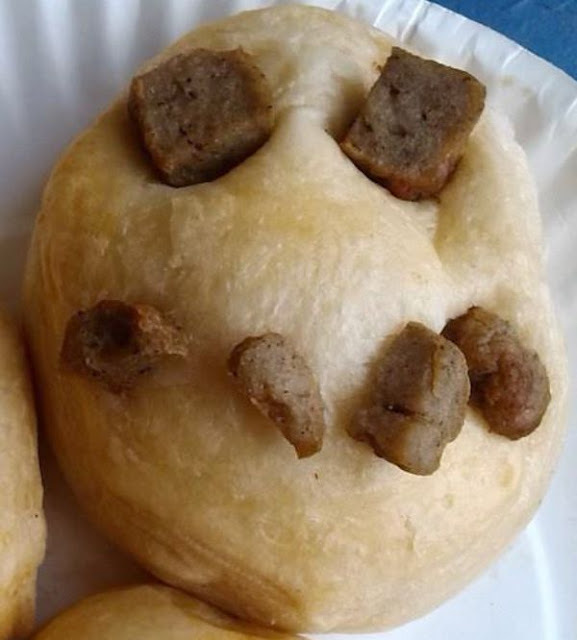 Below, we made Jack the Pumpkin King with just sliced sausages. 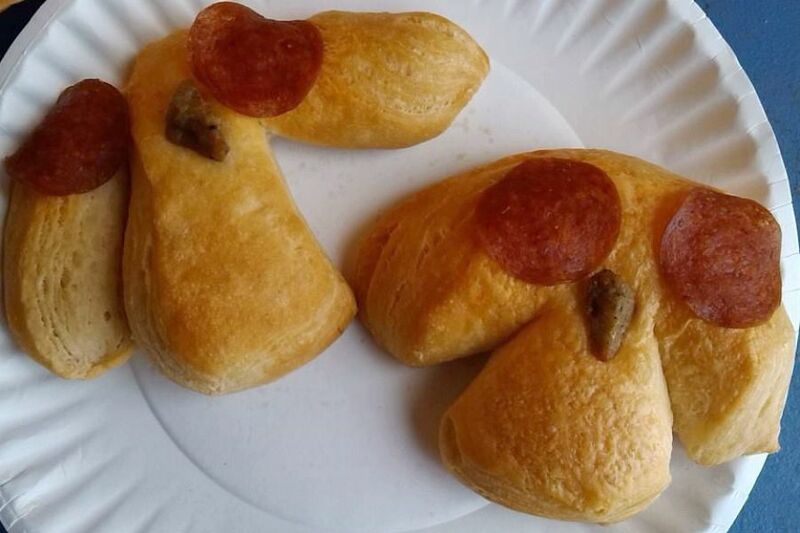 As you can see, these are easy for little ones to make. Just pre-cut the meats for them, and let them stick into the biscuit for some sensory, fine motor skill practice. Skeleton biscuit is easy edible art for Halloween. Easy Jack-o-lantern pumpkin biscuit is fun to make for Halloween. Owl edible art craft for preschoolers or toddlers. Cute, baby owl edible craft for Halloween. Grands!® Halloween Recipe Easy Edible Art Bento ideas. 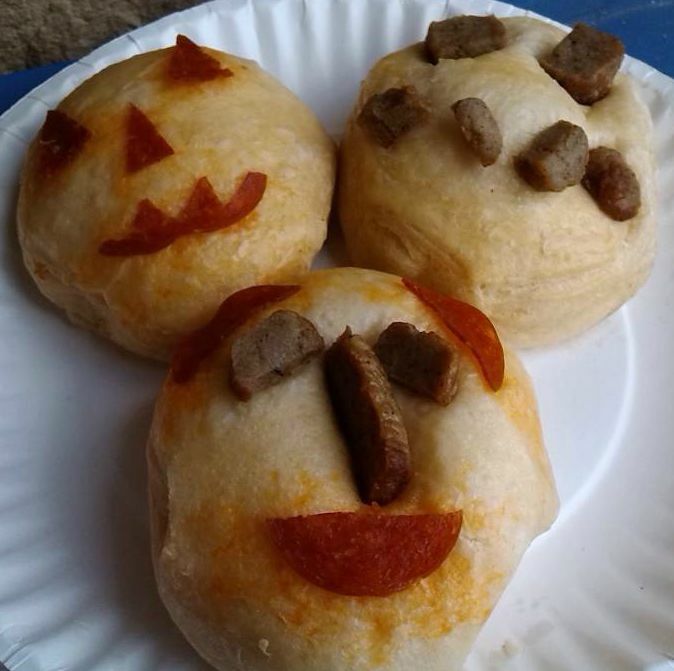 You can share our photos with the kids to inspire them, but let them make their own edible creations. Set out several small cups, each with a different ingredient. Remember, pepperoni, sausage, hotdogs, Zucchinni, Summer Squash, and peppers work best. Give each child a paper plate with a raw biscuit. Enjoy with milk or apple juice for a fun snack. 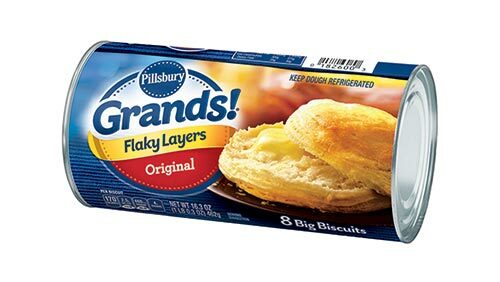 Grands!® Biscuits Easy Recipe for Halloween. Be sure to share your creations with us! 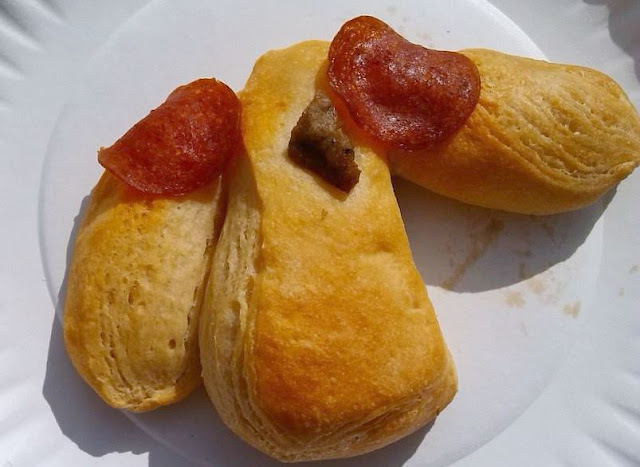 We love to see your creative ideas. *This is a sponsored conversation written by me on behalf of Pillsbury. The opinions and text are all mine.